Absolutely Amazing! Come See this Sophisticated & Sundrenched Laconia Loft Home! This 2 Bedroom, 1.5 Bath Home has been Custom Designed & Exquisitely Renovated! 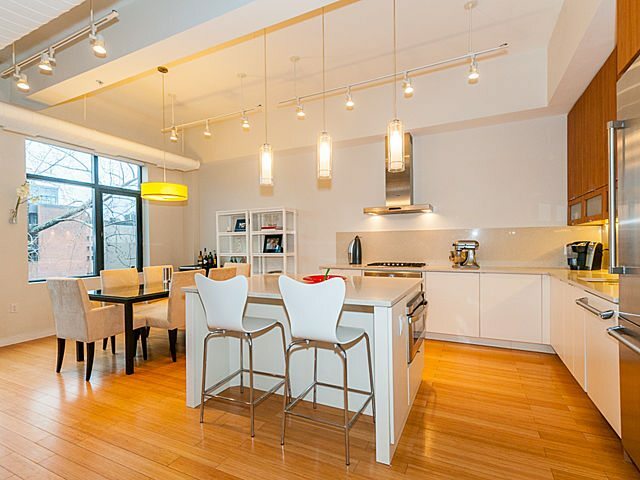 Enjoy Living In the Heart of the Vibrant & Evolving South End’s SOWA District! Sweeping Open Livingroom & Diningroom with a dazzling Wall of Windows! Towering Ceilings! Enjoy memorable Entertaining in your Dramatic Chef’s Working Kitchen with endless Silestone Countertops, Thermador Professional Series Stainless Steel Appliances including a Gas Cooktop & a Commercial scale Refrigerator! Large Center Island with Waterfall sides! Gleaming Bamboo Floors throughout! Huge Master Bedroom & Flexible use Second Bedroom with Frosted Doors & Window Panels will appeal to every buyer’s needs! Lavish Spa Bath with Double Vanity & Custom Shower! Guest half Bath with Full Size Laundry & Linen Storage! Common Roofdeck! City Living at its Best! Professionally Managed! Live in one of the Most Desirable Buildings in Boston! Click Here to view the Floorplan and More Photos!